After sewing a wearable muslin for Butterick 6856, I decided to make another one to add to my capsule wardrobe. 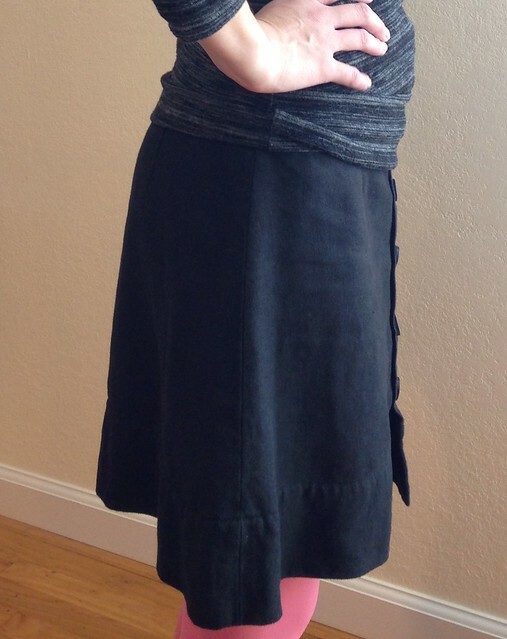 I was gifted some black linen type fabric I knew would be perfect for this skirt, and I couldn’t wait to make my first “nice” capsule wardrobe item for myself! Following the fitting changes from my muslin, I removed 1/2″ from each side of the pattern since the muslin sat a bit low on my waist. The construction was the same as the muslin. The only thing I did differently was hand stitch the waistline down with a slip stitch which is what the instructions said to do. I pulled out all the stops on this one!! I also added the extra buttons, but after they were sewn on, they don’t appear to be black after all. I think they’re blue! Barely noticeable, so whatever, I’m not going back to change them now. 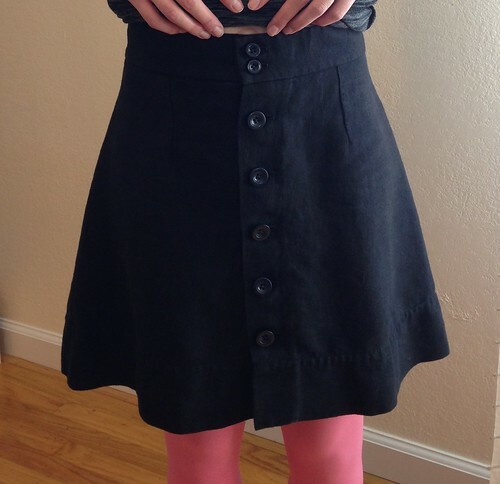 Overall I’m happy with this skirt. Maybe I’m just a tough critic here, but I’m not crazy with the look along the hips. I like the look with a shirt sitting over the waistline as opposed to tucked in too. 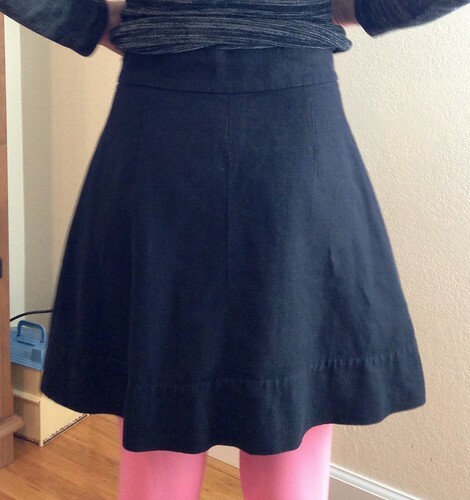 I love that it’s simple though, and it will wear well any season (even with bright pink tights!). Great for a capsule wardrobe piece. Now to get working on those vintage patterns for my pledge! 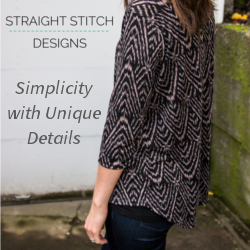 If you’re participating in A Stitching Odyssey’s 2015 Vintage Sewing Pattern Pledge, how many have you made so far? I’m at only 2 people! I need to get going to reach 5!